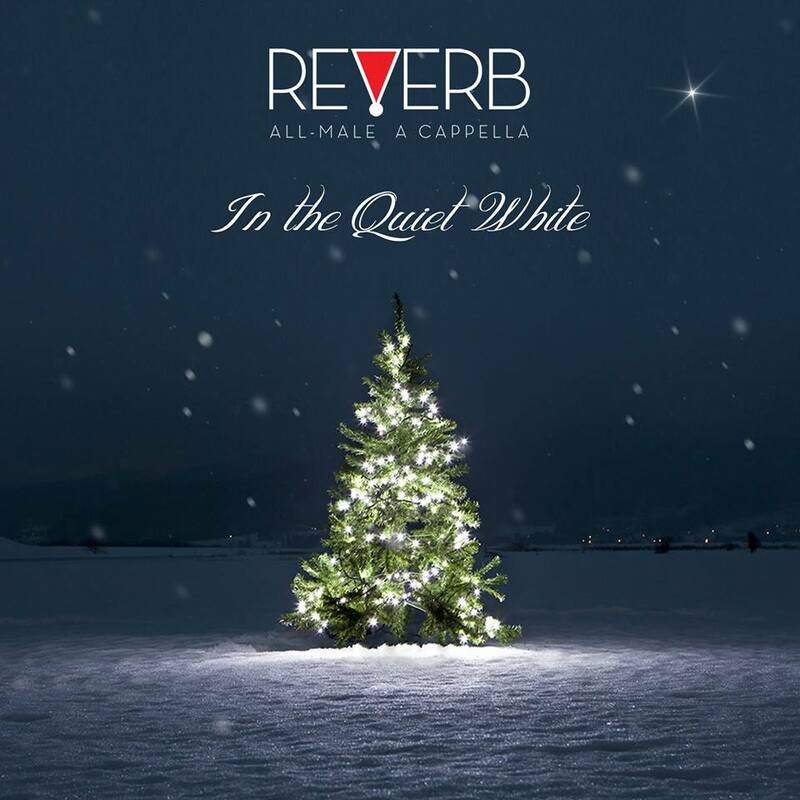 In the Quiet White was nominated for 4 Contemporary A Cappella Recording Artist Awards! Nominations include: Best Holiday Album, Best Holiday Song (Christmas in Paradise), Best Classical Song (Carol of the Bells), and Best Humor Song (Christmas in Paradise). It is now officially on Spotify, iTunes and Loudr!!! You can also purchase here from our website under the "Albums" tab! Jimmy Hadaway, Dale Seneff, David Ko, Casilda de la Cruz, Lynn Norris, Joel and Linda Vega, Karen McDaniel, Matt Fischer, Cristine, Cheryl Nell, Alice Ann-Darrow, Samuel White, Dave Mees, Dr. Deborah E. Ward, Alex Mendez, Clifton and Mary Lou Miller, Janeen Daftary, Martin McHugh, Jamie Conway, Nancy Conada, Debrah Schnackenberg, Tom Gemmer, Christine Welch, Brandon Redler, Ear Wimberly Stradtman, Sandy Stradtman, Caitlin Sweeney, Michelle Santos, Sandra Zweiner, Nancy and Chuck Bruno, Tiffani Miller, John Crew, Deborah Bretz, Maria VandenBosch, Magdala Guerrier, Michael Miller, Taylor Barker, Bobby Duggleby, Natalie Bradley, William Coen, Meeta Evers, Matthew Swope, Jill Connors, Natasha Voigt, Austin McElwain, Amy and Jeff Worman, Lisa and Frank Sullen, Katherine Werner, Cecilia Stradtman, the Acabelles, Elizabeth Gerbush, Eion Blanchard, Brittany Martinez, Owen Gemmer, Jarred VandenBosch, Angela Longo, Elizabeth Spangler, Elizabeth Wooley, Katherine Stobb, David Mandt, Zach Ayala, Kelly Fromm, Taylor Lovejoy, Tunecore, Beatriz Rapisarda, Ray Higdon, Diana Good Sky, Twilley, Grace Hayes, Ike Rafols, Jac, Cynthia Davis Adams, Peter M, Kelly Mooney, Eric Flemmons, Desiree, Ross, Janelle, Jessica Placencia, John Ligon, Barbara Boyd Mayo, Raybaby, Faye Westfall, Karen Fitting, Migdalia Castro, Robert Bruce McDaniel III, Evan Stoddart, Carol Stradtman, Elizabeth, Michael Lomotan, Bonnie Genter, Mimi Eig, David C. Stoddart, John Santos, Tracy Hite Grady, Ryan, Elizabeth Frankenthal, Tammie Gibbons, Ellen Cushman, Kenya Senecharles, John Canada, Alice Nadin, Michael Creighton, Leisa, Zach Daftary, Lisa Fried Morton, Katheryn Nell, and Paula McCarthy!